Well the weather was nice today and looks to be tomorrow as well. November tarpon fishing in islamorada can still be possible with these conditions! No major cold fronts yet and the mild northerly winds have pushed lots of bait down the coast. We commonly refer to this as the ‘fall bait run.’ Lots of black mullet mostly. Tarpon around the mainland really go nuts on these guys, today for instance there were literally rivers of mullet with tarpon busting them from 20 to close to 200 lbs! We had to wait for the incoming tide before bait was really catchable. But we made a throw of the net and had a load of bait. 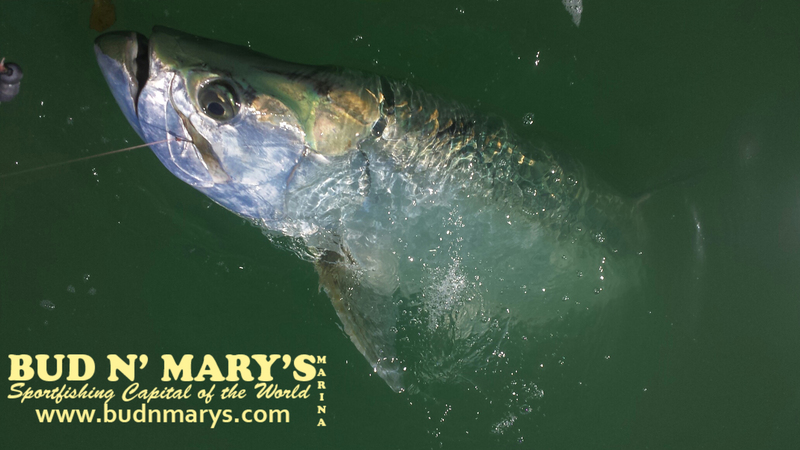 Tarpon were all off the beaches as well as in the canals – slick calm conditions which they like! We fished for an hour this afternoon for them and caught 2 nice tarpon. The fresh black mullets did the trick. We are suppose to be getting some cooler weather and once the temperatures really drop that is usually it for most the tarpon fishing I do until the spring, but other great options are possible fishing the florida keys in november.